This blog is a coming together of two papers presented firstly at the State of Play: Television Scholarship in ‘TVIV’ Conference, 5th – 7th September 2018 Edge Hill University, UK, and second, Watching the Transnational Detectives Conference, 8th – 9th November 2018, University of London. This blog will examine the example of Channel 4’s ‘Walter Presents’ and the ways in which it represents and constructs some aspects of change in the contemporary television landscape. When Channel 4 introduced ‘Walter Presents’ to its All 4 online platform, and selected slots on its terrestrial channel, it highlighted not just a contemporary trend for foreign television drama content, but a variety of industrial practices that make up a transformed media culture. 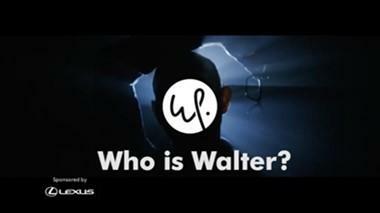 In most respects, ‘Walter Presents’ epitomizes contemporary television production and consumption practices, and as such it has had to take into consideration a means of offering a unique television experience in a competitive market. ‘Walter Presents’ offers an opportunity to examine a variety of practices and concepts that potentially goes towards an understanding of the TVIV viewing experience. As such, we can consider ‘Walter Presents’ in terms of ‘Curation’ and the curated television experience, a characteristic of what Lotz (2017) describes as ‘Portals’; we can consider ‘Walter Presents’ in terms of what Bourriaud (2002) and Verevis (2016/2017) describe as a ‘Post-production culture’; and we can examine ‘Walter Presents’ and Post-production culture as a transnational television experience with ‘value added’ (Verevis, 2017). If we take our present moment in a transformed media landscape as TVIV, what Mareike Jenner (2016, p.260) describes as ‘matrix media’, or the various ways television content, viewing patterns, branding strategies, industrial practices show a shift completely away from the television set, then ‘Walter Presents’ provides an example by which we can examine some of the details of these changes. 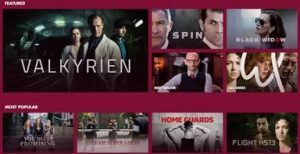 ‘Walter Presents’ is Channel 4’s ‘free-to-use’ (in the UK only) foreign TV Drama streaming platform, launched 3 January 2016. Described as a ‘Boutique streaming service’ (Variety, 2018) it specializes in foreign language dramas from around the world. It is a partnership between Channel 4 and Global Series Network. The concept and its format was created by Walter Iuzzolino, (a TV producer) who presents the platform and who selects the foreign drama content. The significance of the eponymous Walter should not be overlooked when considering ‘Walter Presents’ in terms of industrial practices of curation and the offer of a unique, exclusive viewing experience. For instance, when choosing to view a foreign drama via ‘Walter Presents’ viewers are likely to encounter first a brief introductory clip by Walter Iuzzolino himself, explaining where the programme is from, what its genre is, and why HE thinks its worth watching. Walter also declares a criteria for content inclusion – ‘Selected shows must be popular in their home countries; they must be ‘award-winning’ or critically acclaimed in their home country’. ‘Walter Presents’ curates and distributes national TV drama through various transnational/global technologies and practices that describe the contemporary television experience of TVIV. But ‘Walter Presents’ does something quite interesting compared to other high-end VOD/streaming services such as HBO and Netflix. It presents foreign Drama as the object of the ‘Pro-am/fan’ curator. It alludes to fan activities and practices in order to convey TV foreign Drama viewing not simply as ‘niche’ viewing, but by suggesting ‘normal’, everyday scheduled TV drama as an overlooked repository of esoteric knowledge. It re-constructs the linear national TV viewing experience for transnational, global consumption. It can be situated in what Bourriaud (2002), and Verevis (2016) call a ‘Post-Production’ culture and a transformed media culture. Post-production culture can be described as ‘The proclivity of media producers to ‘interpret, reproduce, remake, and make use of available cultural products.’ (Bourriaud, 2002: 13). Further, Constandinides (2010) describes a Post-production culture that has a technological dimension in that ‘The shift of all culture to digitized forms of production, distribution and communication…[has allowed] digital modes to remake and remodel existing material and media.’ (Constandinides, 2010). ‘Walter Presents’ takes existing Dramas from their original national contexts and repackages (interprets/reproduce) them for transnational consumption. In terms of Post-production culture, ‘Walter Presents’ takes advantage of its digital mode to remodel and make use of available cultural products. Specifically, the foreign dramas available on the site are re-contextualised – from national/local TV crime dramas, to niche viewing, foreign or transnational TV crime dramas. Similarly, re-titles, subtitles, translations and new publicity (paratexts, etc.) not only show a re-modelled product, but describe ‘a digitized, globalized… [TV landscape] in which multiple versions proliferate and co-exist’. (Verevis, 2017). Describing mostly TV/film reboots and remakes, Verevis (2017) describes these processes as a commercial strategy where the original product (or drama) can be seen to have ‘value added’. ‘Walter Presents’ ‘actualize an implicit potentiality at the source’. (Verevis, 2017). ‘Walter Presents’ curates and distributes national/foreign language dramas in a process where the original product is culturally, technologically, and authorially transformed. They conclude by stating how pro-am curators are not passive consumers, but active and participatory. 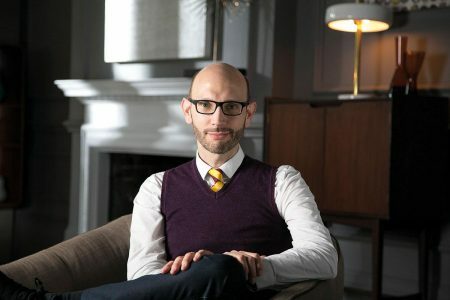 As The Guardian also observed about ‘Walter Presents’, ‘This project is British TV’s highest-profile case of the currently fashionable concept of “curated programming.” The sell to viewers is that Walter Iuzzolino…has made a personal selection of his favourites from 3,500 hours of foreign-language box sets.’ (The Guardian, 2016). ‘Walter Presents’ situates these national/foreign language TV dramas between 2 knowledge communities; between the professional/authorised knowledge/information communities (Broadcasters/curators), and the ‘Unofficial’ (fan) knowledge/information communities (audiences/curators). What is typical of both is the act of curation. Further, these national/foreign TV dramas are presented as esoteric knowledge, ‘quality’, niche. Yet they are exotic and esoteric due to their being largely unobtainable due to their original context being ‘normal’, scheduled, ‘local’ network TV. The curation process, and their appearance on a VOD platform has transformed them for transnational and exclusive consumption. Of even more interest where a Post-production culture is concerned, Rosenbaum observes how curation, more generally, ‘is about adding value…[curators] add their qualitative judgment to whatever is being gathered and organized’ (Rosenbaum, 2011, p. 3). ‘Walter Presents’ highlights not only new distribution mechanisms as a result of technology and internet protocols, but concepts of curation and what Lotz (2017) describes as the ‘industrially curated library’. ‘Walter Presents’ offers foreign/local TV crime dramas as part of a Post-production culture where ‘value added’ has transnational dimensions. Citing the example of Pinterest, Rosenbaum (2016) describes a contemporary culture of the ‘noisy web’, where ‘a variety of seemingly disparate texts are taken out of their original context, to be curated and rebroadcast in dedicated sites that suggest a connection.’ The potential transnational dynamics of national/foreign TV dramas are actualized by ‘Walter Presents’ through a Post-production culture that ‘actualize an implicit potentiality at the source’ (Verevis, 2017). ‘Walter Presents’ does something quite interesting in contemporary television in that it is prepared to make visible the curation processes that have become part of the contemporary TV experience – what Lotz with regard to international television refers to as the presence of portals. As Lotz observes, ‘‘The affordance of internet protocol technologies to deliver personally-selected content from an industrially curated library is the central difference introduced by this new distribution mechanism’ (2017). ‘Walter Presents’ highlights the curated experience in ways that show how the curated library and the act of curation itself has become an increasingly significant aspect of contemporary TV (think of Netflix). In all these respects, ‘Walter Presents’ highlights a Post-production culture where the repositioning and re-contextualizing of existing intellectual properties are sold on the promise of vaue being added, and which has become transnational in its characteristics. As Pearson (2016), in his study of Detective Fiction in a Postcolonial and Transnational World, has identified, ‘cultures are frequently shaped by an intense, continuous, comprehensive interplay between the indigenous and the imported.’ (9) and where ‘Walter Presents’ is concerned, the indigenous and the imported is now curated – with value added. Kenneth A Longden is a Lecturer in Television and Media, University of Salford, and a Fellow HEA. Bourriaud, N. (2002). Postproduction: culture as screenplay: how art reprograms the world, trans. Jeanine Herman (New York: Lukas & Sternberg, 2002), 9. Constandinides, C. (2010). From film adaptation to post-celluloid adaptation: Rethinking the transition of popular narratives and characters across old and new media. Bloomsbury Publishing USA. Lotz, A. D. (2017). Portals: A Treatise on Internet-Distributed Television. Maize Books. Pearson, N. (2016). Detective fiction in a postcolonial and transnational world. Routledge.